Supplies of meat, chicken and beer are facing disruption by the an industry-wide shortage of carbon dioxide. At least five CO2 producers in northern Europe are offline for maintenance, according to the publication Gasworld. CO2 is used in the guns used to kill animals, as well as providing the fizz in carbonated drinks and being crucial to propelling beer from bar pumps. Meat producers have asked the government to prioritise their need for the gas above those of other users. Seasonal maintenance shutdowns have left the UK with only one big CO2 producer in action. Gasworld, which first raised the issue, said carbonated drinks producers were now "desperate" amid the worst CO2 supply crisis for decades. The Grocer magazine has also reported stark warnings from the British Poultry Council (BPC) that up to 60% of poultry processing plants could be knocked out "within days" as a result of the CO2 shortage. CO2 is used to stun and ultimately suffocate poultry in many slaughterhouses. BPC chief executive, Richard Griffiths, said that with the supply of CO2 tightened across Europe, the British Poultry Council was calling on the government and major gas producers to "prioritise supplies to slaughterhouses and keep the food chain moving". The British Meat Processors Association (BMPA) said it was asking officials at the Department for Environment, Food and Rural Affairs to prioritise meat producers when finding back-up supplies of CO2. BMPA deputy director Fiona Steiger said: "Supply is running out and it's pretty tight for some people. "We don't know when supplies will be back up. We've been told it could be about a month." Heineken's John Smith's Extra Smooth and Amstel kegs have been already been hit. Heineken said it was "working with customers to minimise disruption". "We've been informed by our CO2 supplier that they are facing a major issue with supply availability in the UK," Heineken confirmed in a statement. Wetherspoons pub chain said that while it had not had any supply issues yet, "that is likely to change in the coming days, and it's not likely to get any better. "There might be some products we don't have available and if it affects Wetherspoons, then it will affect everyone else." 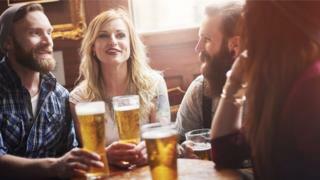 The British Beer and Pub Association (BBPA), which represents brewers and 20,000 UK pubs, said the CO2 shortage was beginning to cause stoppages in beer production, although it did not name specific companies. As much as 82% of beer consumed in the UK is produced here, requiring carbon dioxide, according to Brigid Simmonds, head of the BBPA. 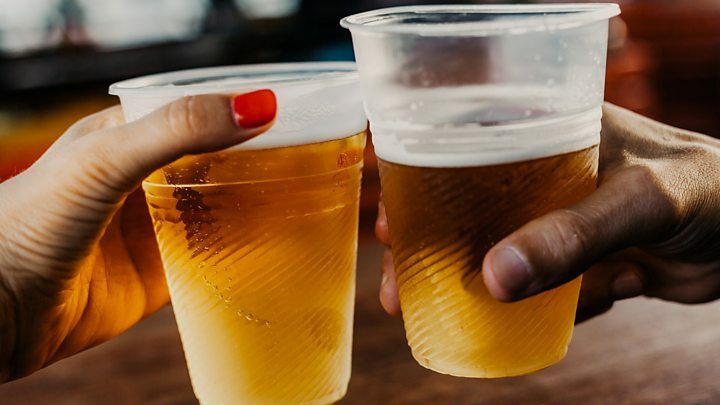 Demand for beer and fizzy drinks is peaking as fans gather to watch the football, thanks to the recent run of hot weather. Carbon dioxide doesn't just put the fizz into soft drinks, canned and bottled beers. It also delivers beer at the pub pumps and is additionally used to pack fresh meat and salads. It comes from ammonia plants that manufacture fertiliser. But as demand for fertiliser peaks in winter, manufacturers often shut down during the summer for maintenance work. Media captionAre we in for a beer shortage this summer? The BBPA has issued some guidance to its members reminding them that CO2 used in drinks, including for dispensing beer at the pumps, must be food grade CO2. "We'd be concerned this is not the time to go looking for a white van man who says they can supply you with CO2," she said. Gavin Partington, director general at the British Soft Drinks Association, said soft drinks producers were "taking active steps to maintain their service to customers". Coca Cola European Partners' spokesperson said it was currently able to fulfil orders to customers and was working with suppliers, partners and customers "on a number of solutions". The UK is particularly hard hit by the shortages, according to Gasworld, because only one major CO2 plant is still operating and imports from the European mainland have been affected by shutdowns in northern Europe. The UK is a large market for carbon dioxide and imports about a third of its CO2 needs. It has a vast range of applications in industry, with one of the main uses being the manufacture of dry ice to chill airline meals. The UK has a number of plants that produce CO2, but three of the four largest are currently down for maintenance or technical reasons. Gasworld said the heatwave in May had boosted demand for fizzy drinks across northern Europe at a time when ammonia plants producing CO2 as a by-product were closed. The current low price of ammonia meant producers were not restarting production quickly. Carbon dioxide production also comes from bioethanol plants, and as a by-product from whisky distilleries in Scotland. But these tend to be on a smaller scale and one UK bioethanol plant is also currently closed. While there were ready supplies of carbon dioxide in southern Europe, including Hungary and Romania, transporting it to northern Europe required specialist pressurised transport, Gasworld said. Could non-alcoholic gin ever be as good as the real thing?